The C3 Aircross brings Grip Control technology with Hill Descent Assist and marks the range debut of wireless smartphone charging. Citroën’s new C3 Aircross compact SUV will be priced £13,995 OTR when it goes on sale from 1 November. 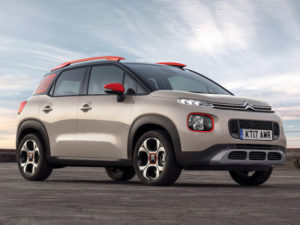 The replacement to the C3 Picasso, the C3 Aircross moves away from its MPV origins to target models such as the Nissan Juke, and will debut the brand’s Grip Control system with Hill Descent Assist and wireless smartphone charging. Other technologies on offer include voice-controlled 3D navigation, keyless entry and start, a reversing camera, lane departure warning and blind-spot monitoring. Three trim levels will be offered – Touch, Feel and Flair – while engine line-up includes the BlueHDi 120 S&S diesel with a six-speed manual gearbox or the BlueHDi 100 manual. Petrols on offer include the PureTech 82 engine with a manual gearbox, the PureTech 110 S&S engine with manual or the EAT6 automatic and the PureTech 130 S&S with a six-speed manual gearbox. Emissions start from 104g/km for the BlueHDi. 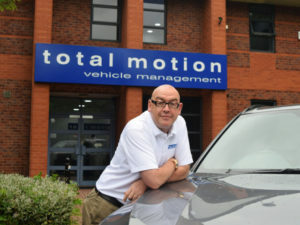 Simon Hill, MD of Total Motion, said the drivers’ app has huge positive safety and compliance implications for clients. Total Motion has introduced a new drivers’ app bringing a range of safety and compliance functionality, including for grey fleet drivers. Features include a vehicle defect reporting system that can be formatted for use on cars, vans or HGVs, giving a permanent record of when and where a defect was reported and enabling accurate tracking of repairs with a full audit trail. When used in combination with Total Motion’s telematics, the app can also enable repairs to be arranged en route via one of Total Motion’s network of service engineers or via a mobile repairer. Fleets can also use the app to ensure drivers complete regular roadworthiness and/or safety checks at a chosen frequency. Other benefits include accident and mileage reporting. 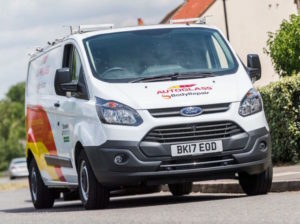 FleetCheck says clarity is needed if fleets are not to lose out on the “many potential gains” from connected car data. Connected car data will revolutionise the fleet industry but manufacturers need to provide access to data to enable the many gains to be realised. So says software firm FleetCheck, which adds that although that data should be starting to become available to fleets, key questions remain such as who the data belongs to, how it will be collected and how data laws apply to it. Peter Golding, managing director, said that from the company’s viewpoint, it seems as though manufacturers are the largest part of the “logjam” but outlined his view that manufacturers’ claim to ownership of the data in this situation seems “vague”. 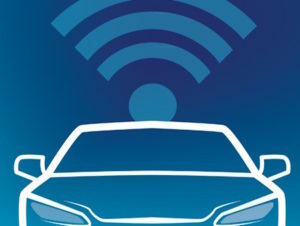 Golding added that the industry also needs to engage in conversations such as how the forthcoming General Data Protection Regulations affect connected car data. 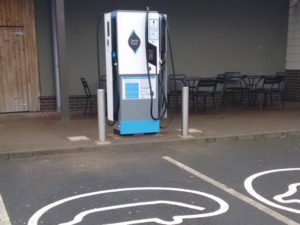 The 50 new EVTronic, rapid chargers form part of the continuing expansion of the GeniePoint Network across the UK. RAC data shows road quality has worsened despite mild weather, leading to concerns over how a spell of very cold or wet weather will affect conditions. The Government is being urged to implement a dedicated, ring-fenced fund for potholes after new research suggests the quality of the UK’s roads may be on the decline. The RAC’s Pothole Index found a 31% increase in pothole-related faults attended by its patrols in the second quarter of 2017 compared to the same period last year, with the figure up from 2,725 to 3,565. Although, there was a big drop in the number of such breakdowns between quarter one and quarter two – in line with the transition from winter to spring – the RAC said it expected the Q2 figure to be lower due to milder and drier better conditions compared to last year. The new branding has been unveiled on the company’s national fleet of vans and website. Body-shop repair company AutoRestore has rebranded as Autoglass BodyRepair with a new logo and brand identity. The rebranding is intended to align the company more closely with sister company Autoglass, also part of the Belron Group, and forms part of plans for Autoglass BodyRepair to target significant growth across the UK. The new branding is being used on the company’s national fleet of vans and website www.autoglassbodyrepair.co.uk. 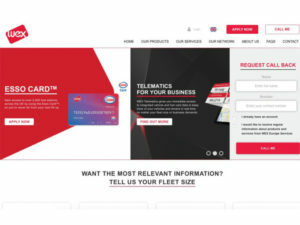 The new website highlights the Esso Card and WEX Telematics service. WEX Europe Services has relaunched its website with a range of new features. The redesigned site – suitable for all desktop, tablet and mobile devices – has been designed for easy navigation and provides details on WEX Europe Services’ services, including the Esso Card and its telematics business.